April 8th will begin something new. Melissa will be teaching a class each month that we think everyone will love. The April class will be the kick-off. In April you will decorate the word HOME and decorate the flower pot that will replace the "O" for the month. Each month following, you will decorate a themed piece to replace the "O" that will represent a season or holiday in the following month. 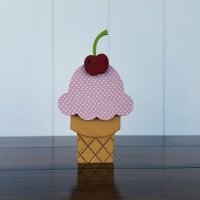 As an example, in May you will decorate an Ice Cream Cone for June, in June you will decorate Uncle Sam for July, in July you will decorate a Watermelon Slice for August. Below you will see the April class project and the pieces for the following three months. 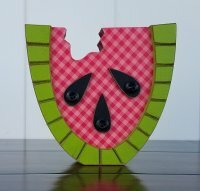 Each month we will send out information as usual for the class and also offer other decorative pieces that you may want to order to decorate on your own. 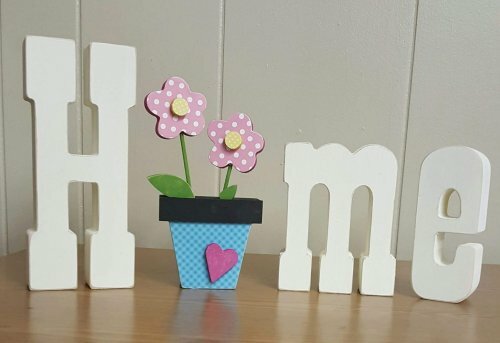 The April class fee with the word Home and the Flower Pot will be $35. The following months with the replacement pieces and a coordinating card will be $20. The wood pieces come sanded and ready to go. 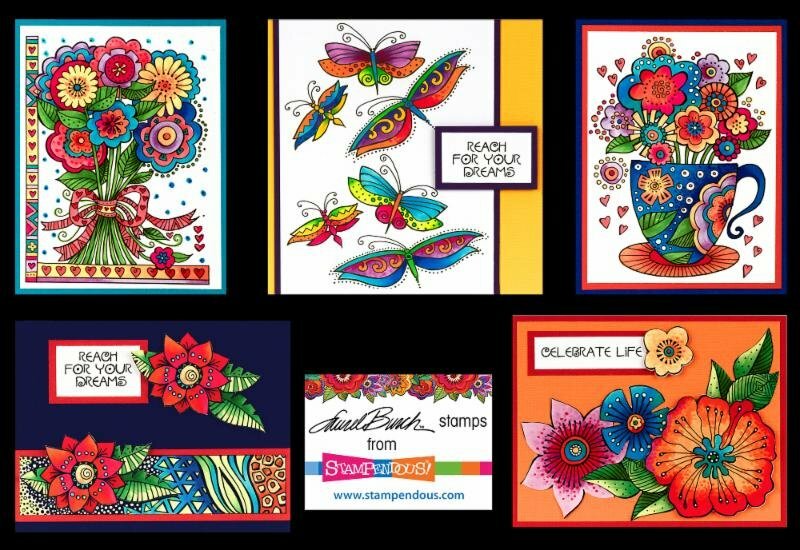 There are a few inexpensive tools you may want to own that are needed to finish your pieces. 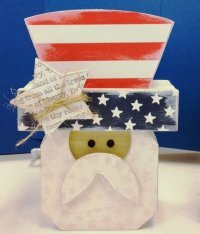 In class Melissa will provide paints, papers and embellishments to complete your projects. In addition to the photos below which show the "replacement O" for the following three months, I can email the entire catalog in a PDF format to you if you are interested. Since it is a 56 page catalog, I didn't want to send it unless you want it. Just let me know. There are so many cute things....especially for Halloween and Christmas that we love, but just don't have room for in the store! We are happy to order anything you want! We think this will be lots of fun and hope you will join us! Be sure to call to be added to the April 8th class! 559-642-6611.